We’ve said it before and we’ll say it again- summer in Amsterdam is the best. 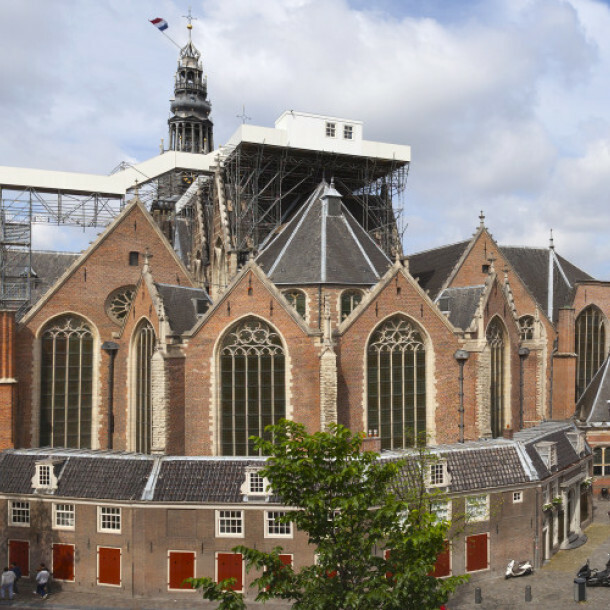 ‘The Garden Which is the Nearest to God‘: Japanese artist Taturo Atzu has transformed the roof of the Oude Kerk in the Red Light District into a rooftop terrace with a panorama view. Definitely worth a climb up the scaffolding to get to this never-before-seen view. 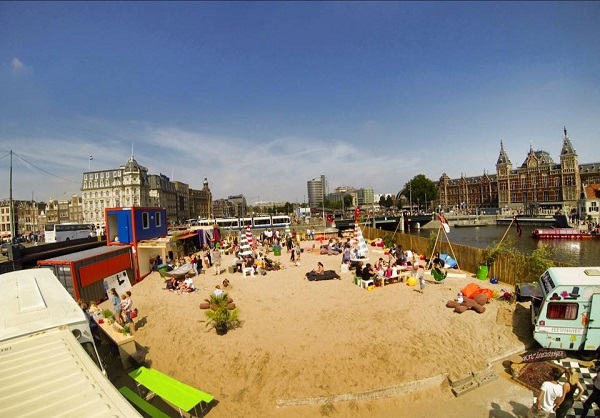 Playground CS: a pop-up beach smack dab in front of Central Station, because: citylife. Our kids need a beach too, right? The website says to expect football, petanque, a sandcastle competition, a painting course, water fights, and an open air film night, and really only has one rule: Don’t poop in the sand. DEAL! TonTon in de Zon: Amsterdam’s one and only barcade is throwing a 2-month long open air version in Westerpark. Expect all of the old favourites (pinball, airhockey, tons of video games, their Mega Jenga, and more. Their indoor version at Westerpark was amazeballs, so this one should be too. 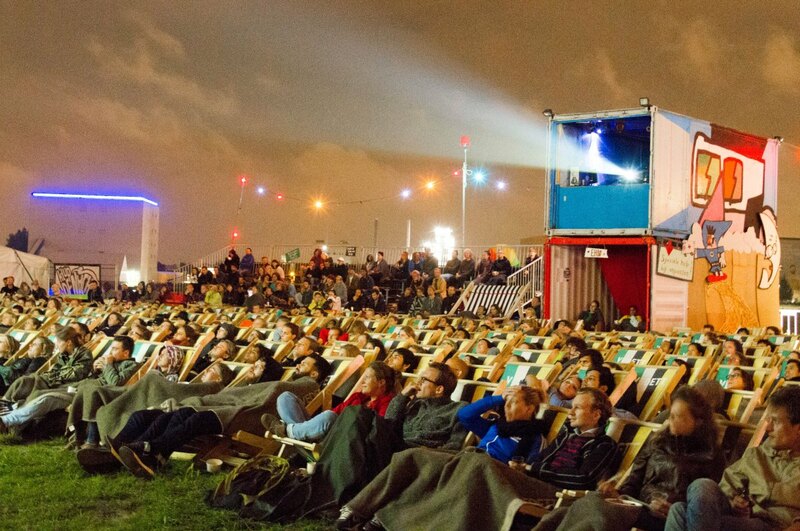 5-15 August, Pluk de Nacht: Open air cinema- Pluk de Nacht is back! Every night a new programme of short films and feature length independent films is shown behind Central Station, with the water at your back. And it’s FREE! Bring your bottle of wine and some snacks, and don’t forget some comfortable beach chairs or blankets. If you have spare time, get there early to snag a good spot, because this is a popular festival and gets extremely busy. 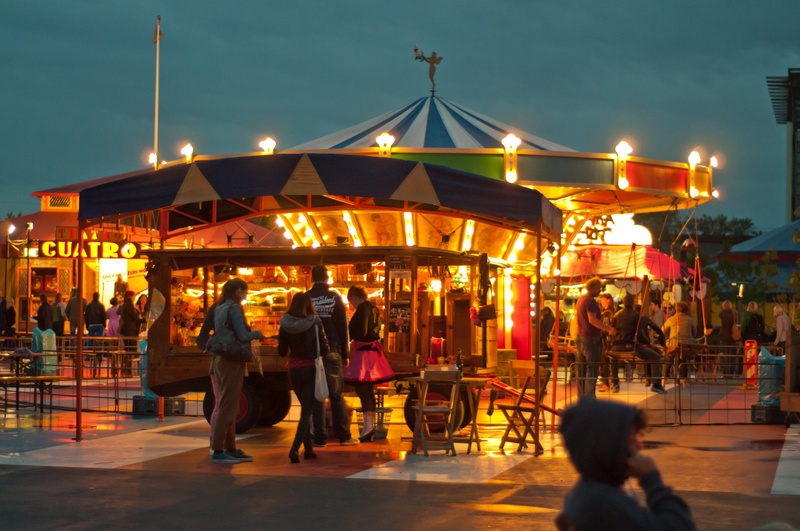 7-23 August, De Parade: Celebrating it’s 25th year, his travelling festival has a little something for everyone: music, theater, a few antique carnival rides, tents, shows and food, and a special program just for children. Takes place in Martin Luther King Park, and is always nice for a night out with friends or a day out with the little ones. 14-23 August: World Cinema Festival: This film festival celebrates the underdogs in the film world – those films being produced and directed far from the Hollywood hills. This year’s 6th edition focuses on films from Cuba, Jamaica, Trinidad & Tobago, Dominican Republic, Curaçao en Haiti. 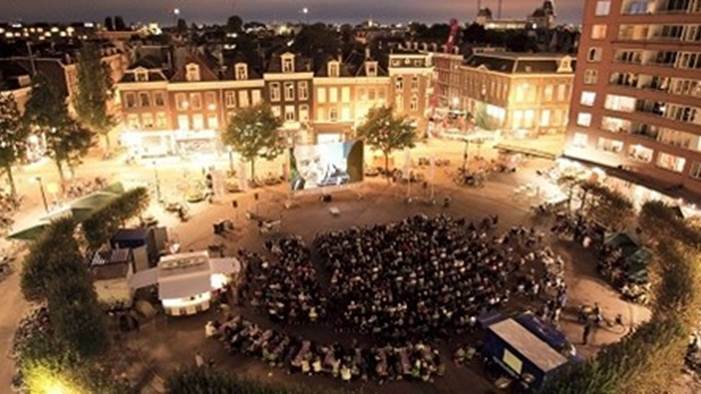 With indoor locations (Rialto and De Balie) and several outdoor locations (Marie Heinekenplein and Vondelpark) and dozens of films and shorts, there is a wealth of choice. 14-23 August, Grachten Festival: This much-loved festival along Amsterdam’s historic canals brings a touch of class to the city each year. Featuring well-known classical music artists as well as up-and-coming talent in the classical world at indoor and outdoor venues across the city, the best ones to catch are, of course, the free concerts along the water. Each year has a theme, and this year that theme is EXPEDITION. 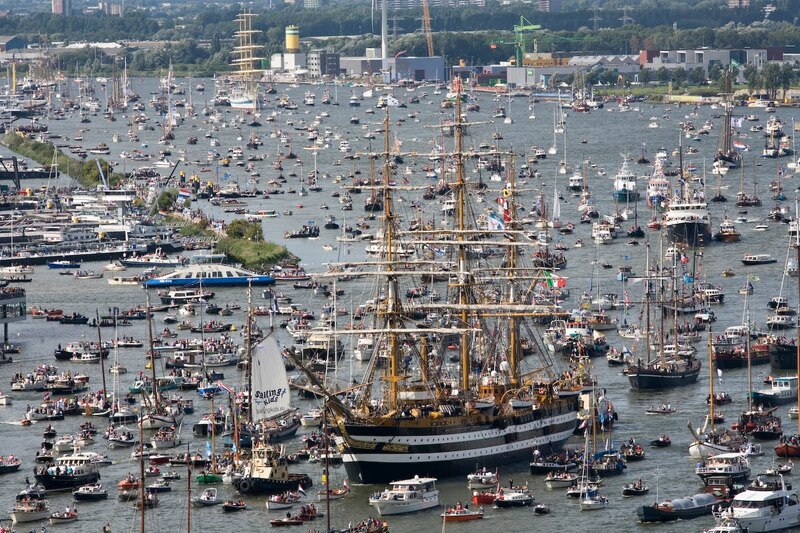 19-23 August, SAIL 2015: When more than50 ships sail into the port of Amsterdam once every 5 years, you know it’s going to be a major party. Tall old wooden ships with billowing sails, gorgeous yachts, daunting naval ships, and other unique and impressive ships ofevery shape and size- they’re all coming to town. It really is a sight to behold. The parade on the 19th kicks of a 5-day programme of all things nautical. Think: cannon salutes, boat carnivals, boat races, sailing lessons for children, and plenty of chances to tour the ships yourself. Add to this some music and fireworks to wrap up every night, and you’ve got yourself a nice long weekend to look forward to. 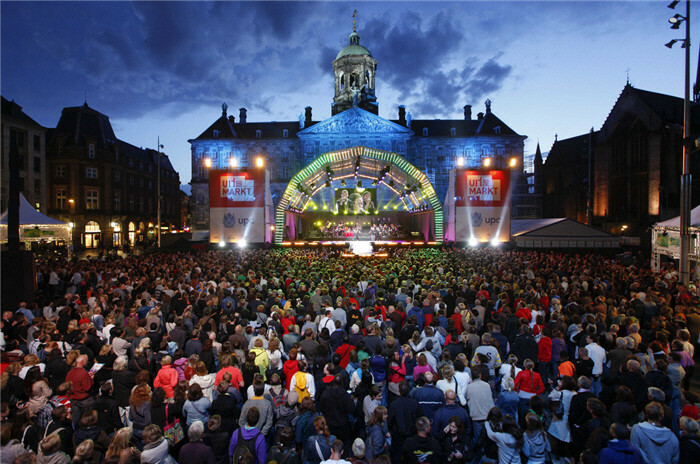 28-30 August, Uitmarkt: The start of the cultural season. On-your-mark-get-set-GO! Spread all over the city, each theater and venue will be showing you a taste test of what the season has in store. The perfect time for culture junkies to get their fix. Now there you go. Eight amazing reasons to make this the best summer ever.